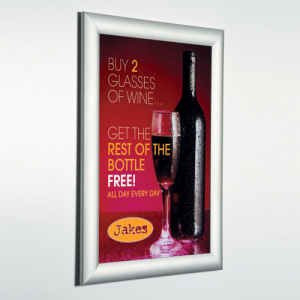 Display posters in eye-catching Poster Snap Frames. 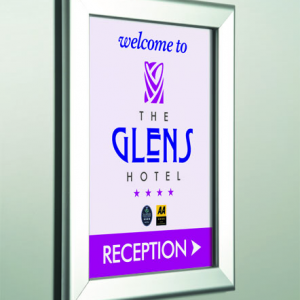 These make every message look like a work of art and are available in various sizes including A4, A3, A2, A1 and A0. 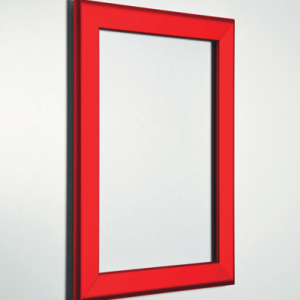 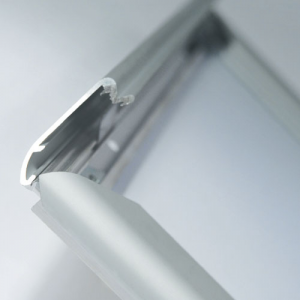 These stylish, silver-finished frames have a snap action which makes it easy to change posters as and when you please. Clear perspex covers keep them in place. 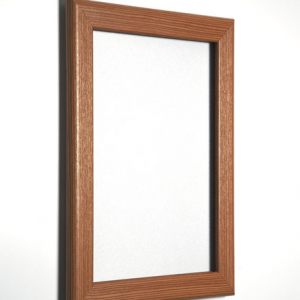 Upgrade to Premium Poster Snap Frames and display your posters elegantly. These frames have wider borders than our saver range to increase impact and are available in a wide range of powder coated colours, anodised or wood grain effect finishes.